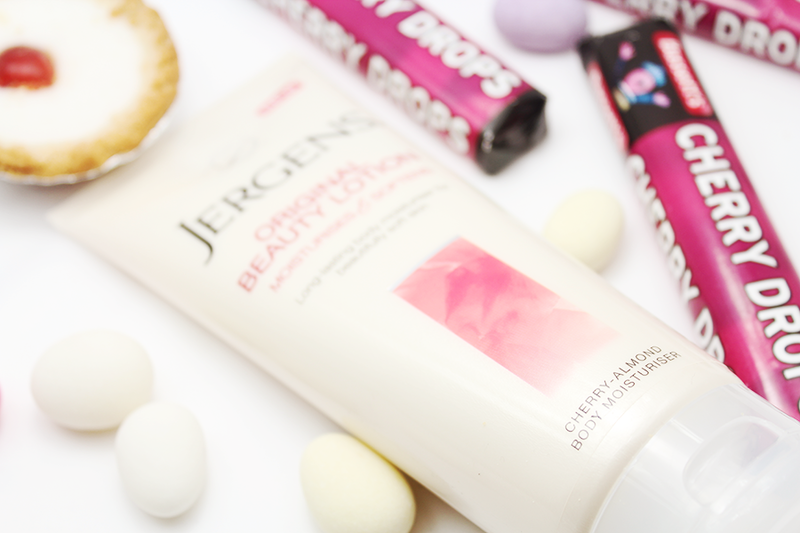 If you really want to make a statement with your body moisturiser, I recommend Jergen's Beauty Lotion in Cherry-Almond. This has finally reached us in the U.K. and if there's anything to make you want to eat your own skin ( that sounded good in my head ) it's this! Why? Not only is in nourishing and hydrating which is something we need from now due to the weather starting to get bitterly cold but it smells true to it's name. I come across so many products that say they smell like x,y and z and all I smell is a, b and c - not many deliver and I love that this does. Smells exactly like the cherry bakewell tart it's pictured next to! Jergens is my current body lotion, it's the only one that has a scent to it, that my skin can take. That's saying something as I will itch and moan when my skin starts to get irritated by over perfumed products. It's light and not hard to rub in so it's also a quick lotion to use. You ever squeezed out too much and you've spent most your time trying to rub in all that excess *nods* that's me. In addition to all this goodness, Jergens UK Facebook are running a competition, you can win a collection of fabulous goodies. One lucky winner will receive a designer handbag, designer scarf, a pair of designer shoes and a complete range of Jergens moisturisers inc the original beauty lotion. Their cherry-almond has been a FAVE!!!!!!!! !